Since leaving the USA in 1967, Robert Beavers has laboured in relative isolation on works whose goal “is for the projected film image to have the same force of awakening sight as any other great image.” His meticulously crafted films are at once lyrical and rigorous, sensuous and complex. Whilst communicating his response to the landscapes, architecture and traditions of the Mediterranean and Alpine countries in which they were filmed, they also incorporate deeply personal and aesthetic themes. Rarely seen in public, Robert Beavers’ remarkable body of work is a celebration of light, life and colour. The retrospective is structured in two parts: Six programmes of selected titles will be followed on the last weekend by “My Hand Outstretched to the Winged Distance and Sightless Measure”, Beavers’ complete cycle of eighteen films. We are very pleased to welcome writer and theorist P. Adams Sitney (Princeton University Professor and author of the book “Visionary Film: The American Avant-Garde 1943-2000”) for a discussion with Robert Beavers on Sunday 4 February 2007. Curated by Mark Webber. With thanks to Temenos Verein, Cineric Inc., and The Guild of St George. 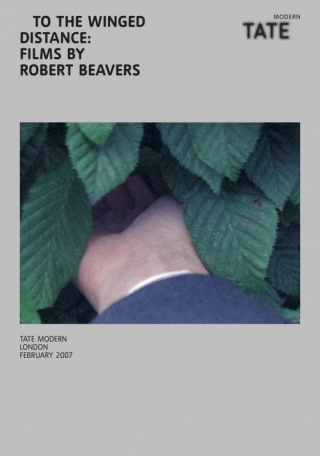 Robert Beavers has laboured in relative isolation on works whose goal “is for the projected film image to have the same force of awakening sight as any other great image.” His meticulously crafted films are at once lyrical and rigorous, sensuous and complex. Whilst communicating his response to the landscapes, architecture and traditions of the Mediterranean and Alpine countries in which they were filmed, they also incorporate deeply personal and aesthetic themes. The films Beavers made between 1967 and 2002 are collected together in the cycle “My Hand Outstretched to the Winged Distance and Sightless Measure”, which comprises 17 individual titles and a prologue. Robert Beavers was born in Brookline, Massachusetts, in 1949, attended Deerfield Academy and developed an interest in cinema from an early age. Encouraged to make his own films, he moved to New York in 1965 and met the Greek-American filmmaker Gregory J. Markopoulos. Two years later Beavers relocated to Europe, where he was soon joined by Markopoulos, and embarked upon a peripatetic lifestyle travelling and filming across several countries. Beavers’ filmmaking began in earnest, with several works being completed in the space of three years. The earliest films, from Winged Dialogue to Still Light, shot variously in Greece, Belgium, Switzerland, Germany and England, are stylistically adept whilst displaying a youthful dynamism. Made when the filmmaker was only 18 to 21 years old, they suggest a sense of adolescent isolation and angst. Diminished Frame, a bleak view of Berlin, powerfully conveys the alienation felt by the filmmaker during his first visit there in 1970. Together, the Early Monthly Segments form a prologue to the complete cycle, the only silent film. Excerpts are also included on reels containing the final versions of the six early films. These brief exercises apply formal experimentation to personal footage or daily imagery. Whilst offering a glimpse into the lives of Beavers and Markopoulos, they more significantly demonstrate Beavers’ enthusiasm for and exploration of his chosen medium. Beavers’ frequently manipulates the field of vision by inserting coloured filters, applying mattes that selectively reframe or block out the image, and by turning the lens on the turret of the camera. The rapid, diagonal motion that arises from the latter stylistic device is echoed by the unconventional use of swift pans and tilts. From the Notebook of … is the axis on which the two phases of Beavers’ oeuvre are balanced, being a point of convergence between the impulsive early works and the more considered manner of his mature films. It was inspired by the notebooks of Leonardo da Vinci (and writings by Giorgio Vasari and Paul Valéry), and depicts Beavers’ own filming notes, work room and creative process in relation to views of Leonardo’s Florence and details of the Renaissance artist’s life. The self-reflexive nature of the filmmaking is most evident in the early films, but continues as a presence in the later works in which Beavers frequently draws parallels between the act of filmmaking and the craft of skilled labour. These formal characteristics, often associated with the structural tendency, are tempered by the lyrical qualities of the work, and its intimate relationship to landscape, culture, architecture and history. Work done, a stately chain of elementary images that range from natural beauty to artisanal production, marks the beginning of a new approach. From this point onwards, films were no longer centred on a single protagonist, but were built on the implied correspondences between objects or visual emblems, conveying emotions and thoughts in an innate or tacit manner. When human figures appear, they act as metaphoric symbols, rarely as characters or subjects. The film Ruskin was motivated by Beavers’ reading of “The Stones of Venice”. Architectural details and views of the Italian city dominate. The film also features images of London and the Alps, and a copy of “Unto This Last”, Ruskin’s treatise on social justice. Though literature is one of Beavers’ sources of inspiration, his films seldom contain text or speech. Dialogues are created between images rather than through the use of language. Throughout the 1970s and 1980s, Beavers’ films were rarely shown in public. He lived a modest life, dedicated to making new work and ensuring the means to continue. The final series of films in the cycle were predominantly shot in Greece and include Efpsychi, photographed in the old market quarter of Athens, and Wingseed, partly located in an idyllic landscape near to where Beavers and Markopoulos presented annual outdoor screenings between 1980 and 1986. In 1992, shortly after completing the editing of his monumental work ENIAIOS, Gregory Markopulos died in Freiburg, Germany. The Ground, made over the subsequent eight years, is Beavers’ poignant response to this loss. One of the film’s signature images, the ruins of a hollow tower on a hillside above the sea, is also featured in Winged Dialogue, and brings a sense of completion and circularity to the entire sequence of works. The unity of the cycle was reinforced by the process of re-editing undertaken by Beavers in the 1990s. These revisions typically created shorter films, producing distilled works that are painstakingly composed and precisely balanced. At this time, he also created many new soundtracks, often returning to the original sites to record audio on location. As Beavers reached the conclusion of this process, he began to show his work at selected screenings, most notably at festivals in New York, Rotterdam, Toronto and London. In October 2005, the Whitney Museum of American Art was first to present the complete cycle. This cautious but considered emergence into the public arena finally gives audiences the opportunity to survey his intricately crafted style of filmmaking. “My Hand Outstretched to the Winged Distance and Sightless Measure” offers the contemporary viewer a rare aperture for vision, communicated in the moment of projection.